The federal government is paving the way for self-driving vehicles to become commonplace on U.S roads. Tuesday morning, the Department of Transportation will release guidelines for the testing and deployment of automated vehicles. Government officials say autonomous vehicles will make transportation safer, more accessible, more efficient and cleaner. The new guidelines detail how the vehicles should perform, and include a model for state policies. Traditionally, the federal government has regulated vehicles, and states have handled drivers. But with autonomous vehicles, the vehicle becomes the driver. The federal government wants to avoid a patchwork of different rules across states, which would hamper the rollout of the technology. The guidelines include a 15-point safety assessment for vehicles, which is left open-ended. There aren't benchmarks clearly drawn in the sand for the different categories, which include crashworthiness, privacy, vehicle cybersecurity, ethical considerations and how a vehicle sees the road. "Typically, we would say a car has to meet X standard a certain way," said Anthony Foxx, Secretary of Transportation. "We recognize that there are going to be different types of innovation that will come to us, and we intend to evaluate each of those on its own returns." The government will rely on automakers and tech companies to be honest in submitting their safety assessment. "It's in their vested interest to be as upfront and as clear and transparent as possible because there's market risk to putting a product out there that doesn't meet the expectations of the public," Foxx said. In a call with reporters, government officials said they would maintain an aggressive oversight approach, and issue product recalls when unreasonable safety risks arose. 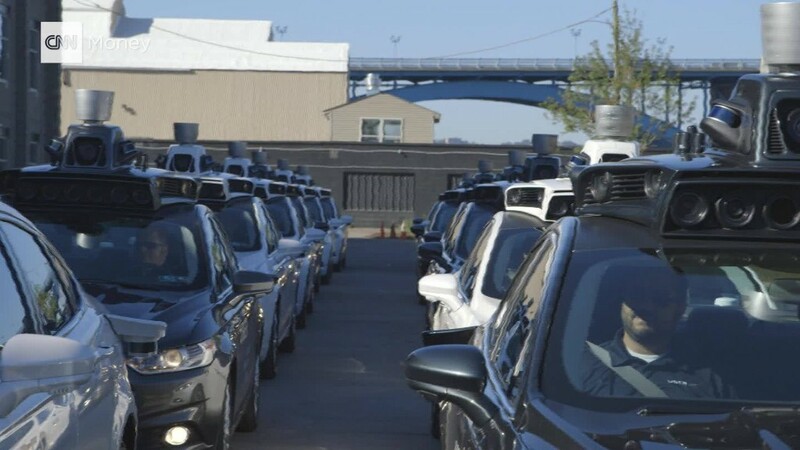 President Barack Obama expressed support for the plan in an op-ed for the Pittsburgh Post-Gazette, saying that self-driving cars could help reduce the more than 35,000 deaths that occurred last year on American roads. "Automated vehicles have the potential to save tens of thousands of lives each year," he wrote. "But we have to get it right. Americans deserve to know they'll be safe today even as we develop and deploy the technologies of tomorrow." While autonomous vehicles come with the promise of improved road safety, there are also challenges to determining exactly how safe the cars are. An autonomous vehicle may be able to drive safely in one city or suburb, but not be able to handle another environment. Self-driving vehicles rely on complex software, which is often opaque. In some self-driving systems, it can be difficult to understand why a vehicle made a certain decision, such as whether to brake or not. Self-driving cars could also cause significant unemployment for Americans who are currently paid to drive. "That's no reason to hit the brakes," said Jeff Zients, director of the National Economic Council. "Instead, that's why it's so critical that our workers have the training and skills they need to adapt to an ever-evolving economy." Ultimately, the federal government is embracing the positives of autonomous driving, which includes the opportunity to make recalls instantly. "An over-the-air update could literally address a defect and have 100% recalls overnight," said Mark Rosekind, the administrator of the National Highway Traffic Safety Administration. "That's the kind of innovation you're looking at."